Radical anti-gun groups, funded by New York BILLIONAIRES who have nothing in common with our Minnesota way of life, are funding a massive assault on Minnesota to take control of our government in order to annihilate our Second Amendment rights. 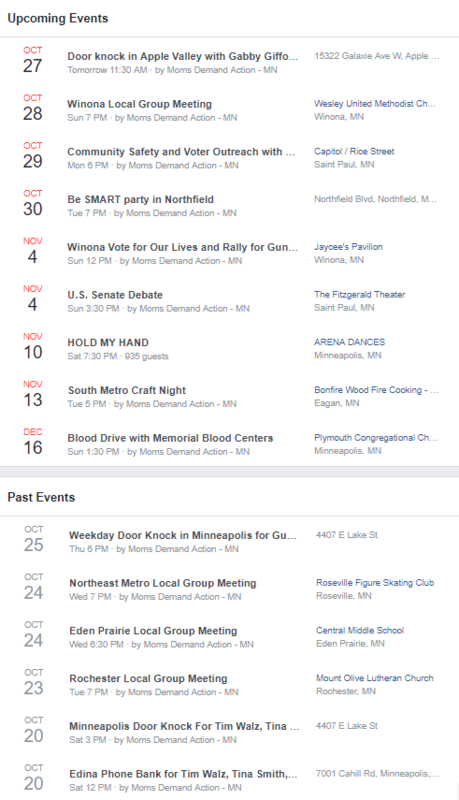 Below are images from the Bloomberg funded “Moms Demand Action – MN” Facebook “Events” page, detailing the massive amount of effort they’re putting in to electing radical anti-gunners in Minnesota. 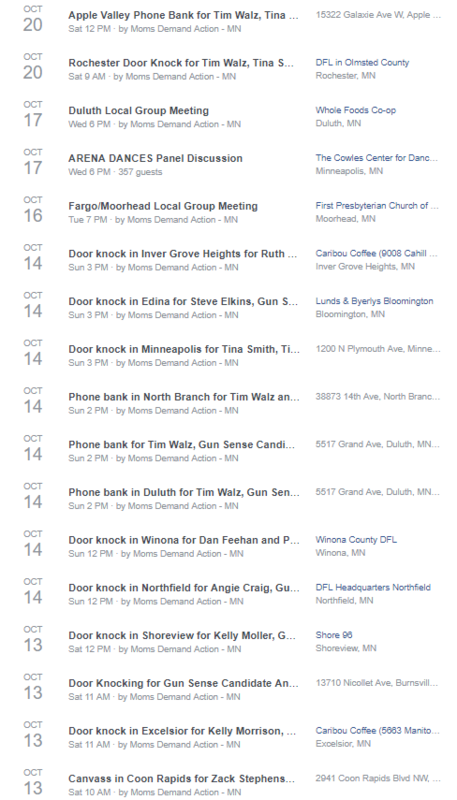 And as you can see, TODAY they’re brining in national gun-control activist Gabby Giffords to rally and door-knock for anti-gun candidates! As you can see, Site, the anti-gun groups have laid it all on the line with a massive statewide mobilization plan to steal our elections! Please take a moment and make an emergency contribution to help Minnesota Gun Rights increase the amount of mail, email, radio ads, online targeted ads, and door-to-door lit dropping campaigns that are taking place across the state right now! With only TEN days to go, Bloomberg’s hoards are only increasing their attacks on pro-gun candidates and our gun rights. So please consider an emergency contribution of $250 or $500 right away to help us EXPOSE anti-gun candidates in targeted districts all across Minnesota! All the resources you give us go straight to the fight to stop these radicals from turning our Minnesota into another California-style gun-control stronghold.